Colours Review - Welcome Spring! Welcome Spring! Colours Review. 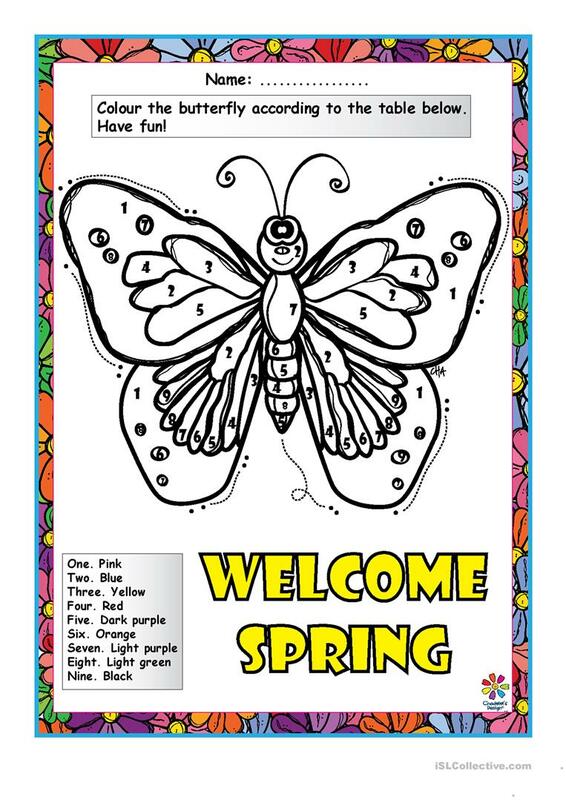 Students have to colour this butterfly according to the numbers. Notice that students have to know the difference between dark and light - Have fun! Cha. This downloadable worksheet is intended for elementary school students at Beginner (pre-A1) and Elementary (A1) level. It is about the vocabulary topic of Colours.